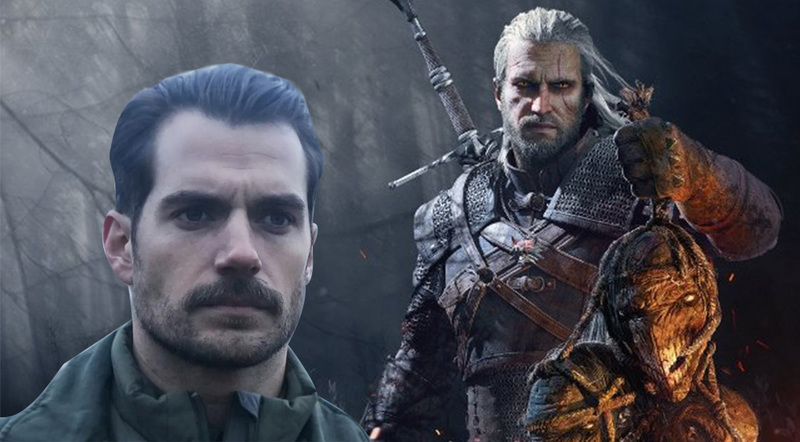 Henry Cavill cast as Geralt in Netflix 'The Witcher' series – AiPT! Cavill takes up the iconic sword of Geralt of Rivia. Henry Cavill has been officially cast as Geralt of Rivia, the lead role of the upcoming The Witcher series on Netflix. Cavill confirmed the casting today on his Instagram account. The news of Cavill’s casting was initially confirmed by Lauren Hissrich, executive producer and showrunner for The Witcher series. Prior to her upcoming work on The Witcher series, Hissrich has written scripts for The West Wing and Justice, as well as written and produced for Parenthood, Do No Harm, Private Practice, Daredevil and The Defenders. Netflix also celebrated the announcement on Twitter. Speculation over Cavill being cast in the lead role has been rampant among fans for weeks now, after Cavill expressed interest in the role of Geralt while on a press tour promoting Mission: Impossible – Fallout. Cavill has been an avid gamer since childhood and missed the phone call offering him the role of Superman because he was too busy raiding in World of Warcraft. So it should come as no surprise to fans that he’s a big fan of the book series and the video game adaptation of the Witcher-saga. The Witcher is based on the best-selling fantasy novels by Polish author Andrzej Sapkowski. It first began as a series of short stories published in Polish, which have since been translated to numerous languages, including English. The latest novel Season of Storms, was released in the US in March of 2018. The hugely popular books have also been adapted to a comic book, graphic novel, board game, and best selling video game series-which as of March 2018, has sold over 33 million copies worldwide. Geralt of Rivia is the protagonist of both The Witcher books and video games. Witchers are vagabonds of sorts who travel from town to town in a medieval fantasy world, killing monsters for money. Geralt’s one of the few remaining Witchers in the world and his swordsmanship and fighting skills are prodigious, so much so that he often catches unwanted attention of kings, sorcerers and other powerful individuals. At this time there’s no date available on when the series is expected to premiere.